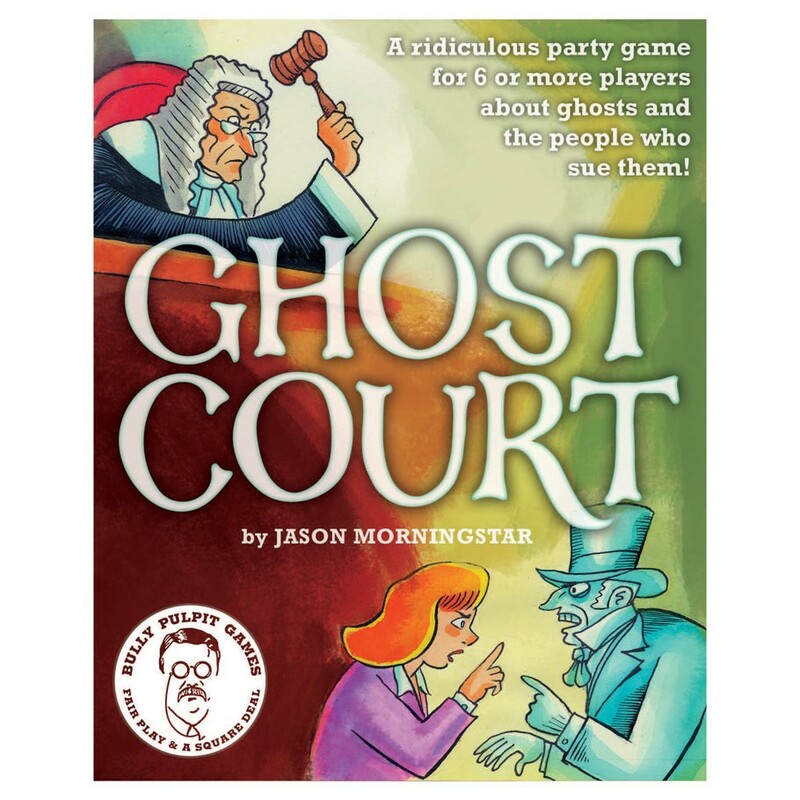 …the ridiculous party game about ghosts and the people who sue them! In a small claims court full of plaintiffs and defendants, testy judges, overworked clerks, and peace-keeping bailiffs—all of whom might be living or dead—you and your friends will see that spectral justice is done, one absurd case at a time. Cases last a few minutes and are ridiculous. Will you be an over-the-top landlord, aggrieved at a scheduled haunting gone off the rails? Will you be a sad poltergeist who only wants to make a bad smell? In Ghost Court you might get to be both!